Definition at line 550 of file llfloaterfriends.cpp. Definition at line 552 of file llfloaterfriends.cpp. 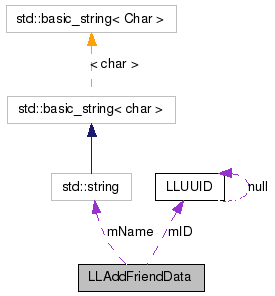 Referenced by LLPanelFriends::callbackAddFriend(), and LLPanelFriends::requestFriendshipDialog(). Definition at line 553 of file llfloaterfriends.cpp.